- city girl diaries -: 1st Time to Watch the Azkals LIVE! Last July 3, I was able to witness the 2nd leg of the Azkals vs Sri Lanka football game at the Rizal Memorial Stadium in Manila. There were lots of football fans who came despite the bad weather. I wasn't able to start the game 'coz I came only 30 minutes after the game started. But that was actually a blessing in disguise because as the game started, heavy rain started to pour and all the fans at the bleachers got soaked, while those in the grandstand with tickets worth Php 2000-Php3000 were saved. We only got free tickets from our friends and ex-coworkers in Smart Sports, and we're so thankful 'coz we saved 300 bucks! haha! Anyway, I've seen a lot of friends and familiar faces there. We all enjoyed watching the game. Most especially because Sri Lanka couldn't score. I loved the crazy crowd. We've been doing a crowd "wave" from point A and back, with all the crowd in the stadium. It's so fun! Plus there's a huge flag which crawled around the stadium. So cool! 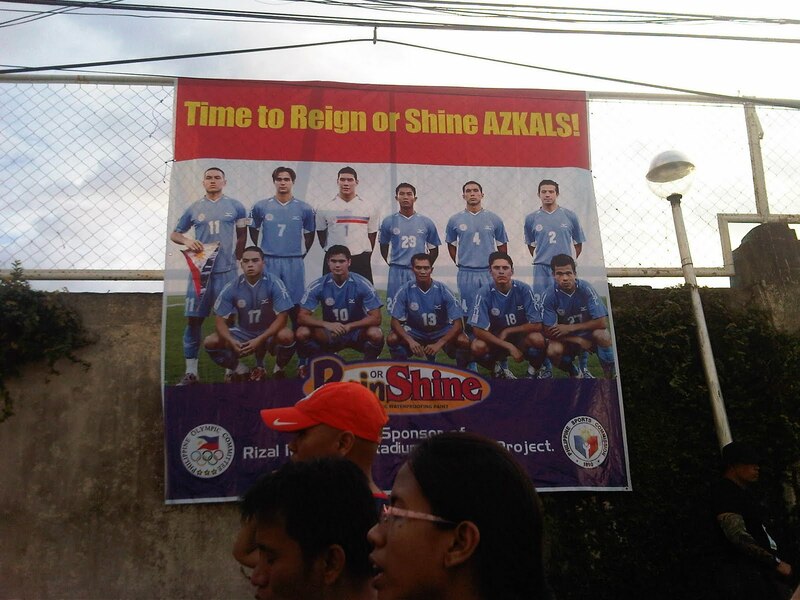 After 2 hours, the game ended 4-0 for the Azkals! The crowd was cheering and jumping for joy! The team went around the stadium to thank the fans. After the game, there were cameras and interviews at the exit gates asking the fans how their experience was. My friend said it was "fun fun fun!" haha!